Newcastle, Ont.—ADRA Canada (The Adventist Development and Relief Agency in Canada), the official humanitarian organization of the Seventh-day Adventist Church in Canada, is moving to Newcastle, Ont., on Aug. 28, 2013. The move comes after a multiyear planning and negotiation process to renovate or build a facility on the Kingsway College Campus in Oshawa, Ont. Unfortunately, the request for a new facility could not be accommodated. 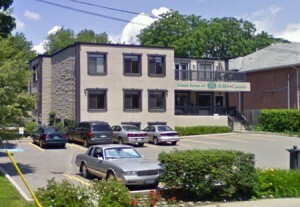 ADRA Canada has been operating from a building at the Kingsway College Campus in Oshawa, since the 1980s. However, ADRA Canada has outgrown the aging facility. Given the expenses associated with the current facility, ADRA Canada will experience cost savings by moving to Newcastle. With the improved workspace of the new facility, the staff at ADRA Canada will be better able to manage projects and programs in Canada and numerous countries around the world. An open house is planned for Saturday, Sept. 7, 2013, from 3:00 to 5:30 pm. The general public is invited to attend, tour the new facility, meet the staff and enjoy some refreshments. Starting Aug. 28, 2013, please contact ADRA Canada at 905/446-ADRA (2372). 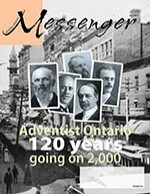 The organization’s new home is located at 20 Robert Street West, Newcastle, Ont., L1B 1C6. From Thursday, Aug. 22, through Tuesday, August 27, we may experience temporary, intermittent interruptions in phone and website access while computer servers are being moved and re-established. All staff will be assisting with relocation activities to minimize this interruption. For more information, or to join ADRA Canada in helping those in need, please call, write, or visit www.adra.ca. The Adventist Development and Relief Agency is a global humanitarian organization of the Seventh-day Adventist Church, with an official presence in 120 countries. On behalf of the Seventh-day Adventist Church in Canada, ADRA Canada works with people in poverty and distress to create just and positive change.